I keep wanting to spread the love over one of my favorite discoveries this year, so here's a thread for it! Udemy is an online learning platform that currently offers more than 55,000 courses on various topics - most of it relates to technology, but the library is broad enough that it covers just about every subject you may be have an interest in. While they have a couple of great free courses available, a majority are paid-for and almost all can be picked up for just $5 during one of their frequent sales or by using active coupons. If you're wondering why you should bother using this service instead of other freely available resources, I personally perfer Udemy's offering because the standard is both generally higher and more consistent with the paywall, along with a great interface to keep track of your progress - it's been really nice to look up a particular subject and get the best rated course available instead of spending hours trawling through YouTube for alternatives that are often outdated, incomplete, or of varying quality. I've already gone through the entirety of Percival's and Schmedtmann's courses on web development to bring my knowledge up-to-scratch and it's elevated the standard of my work massively, and right now I'm going through this course to finally familiarize myself with PHP/SQL database management so I can assemble larger projects I've always wanted to get off the ground. Hey look, an actual update! 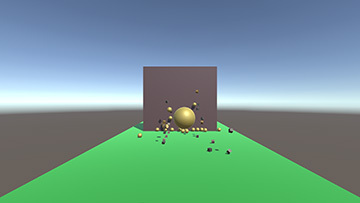 After committing to follow through on PHP here and resuming art on Facebook, I instead went in a completely different direction and picked up this course on the Unity Game Engine. It's something I wanted to do for a while and the mood suddenly struck, so I thought... Why the hell not? 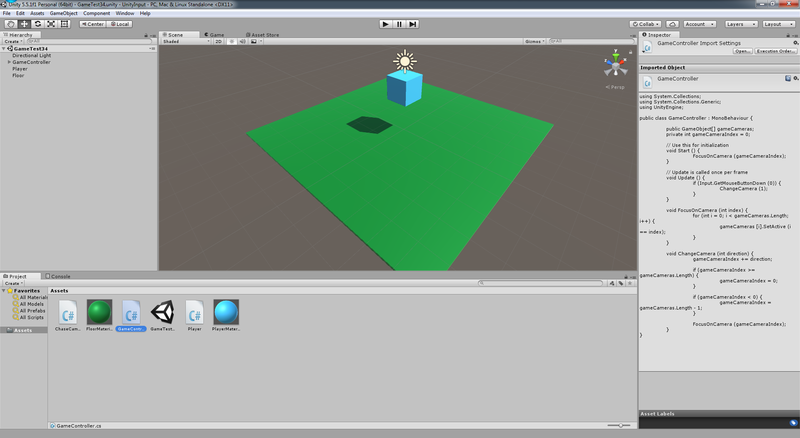 So far I'm loving it, I'm pretty much coding-by-numbers but I'm amazed at what can be constructed with little effort. 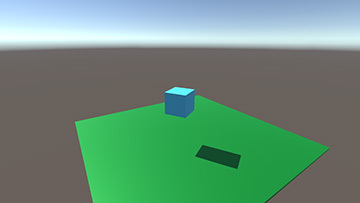 For instance, I built two basic projects in a single day - one of them a simple demo for controlling the Charismatic Character Cube while the other was about familiarization with particle effects and collision detection. I doubt anyone would want to, but if you'd like to download examples of what I've made you can click on either of the images below! They're crap and wouldn't offer more than a few seconds of entertainment each, but I figured it would be nice to show my starting point so I can reflect on how far I've come later. Bit slow on updates as I took two weeks off to visit the UK, but I somehow managed to slip right back into this and am charging ahead again. So here's how far I've progressed since I last checked in! You can either click here or on the image above to download the game. 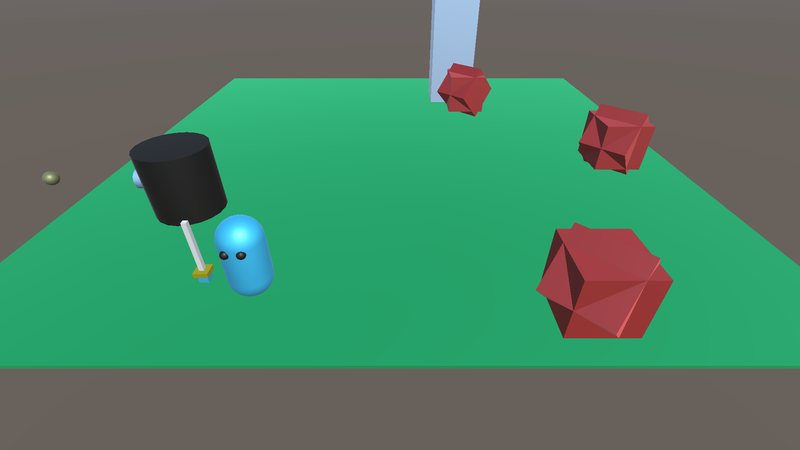 As you can see this has come a long way since the previous post and that it's starting to resemble an actual game now - it's still horribly basic though, and has no "win" state other than clearing all enemies off the board. There were certain things I added in that I was only vague on the understanding of, but I think I'll work through the course and see the project to completion to get a feel for the bigger picture before breaking every element down to make sure I get it entirely. Still having loads of fun with this and wish I started years ago, the prospect of creating something is so exciting I can barely contain it Hopefully I'll finish up the sections on camera control, UI, and terrain later today. Right! Been a while since I last updated, though I've still been at it despite the lack of input and have finally finished something worth releasing. This was done following lectures and uses provided graphic assets I didn't make, but I'm still proud that it came together so well, that I understood all the code and have finally seen a project through to completion - even if it's a small one. I've compiled it using Unity's WebGL so you guys can play it without downloading it! Just load it up and hit space to start, use either WASD or the directional keys to move and space/left mouse button to shoot. Click here to play, and hopefully I'll have more to add by the end of the week!